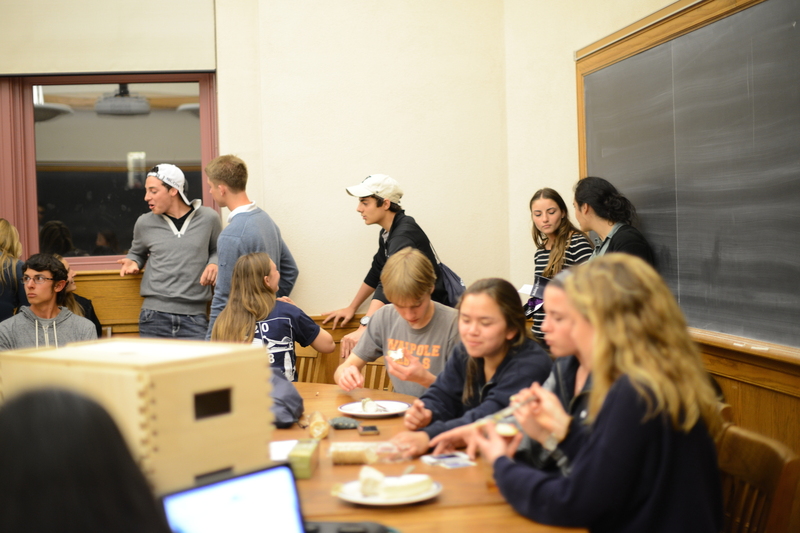 Thanks to all the PreFrosh and students who came to our Bulldog days cheese and honey tasting. 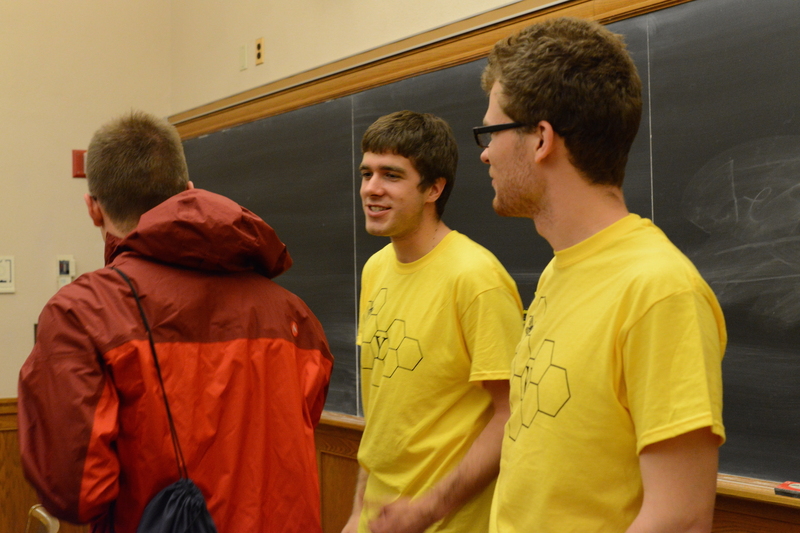 We hope to see you all out at the hives next year! 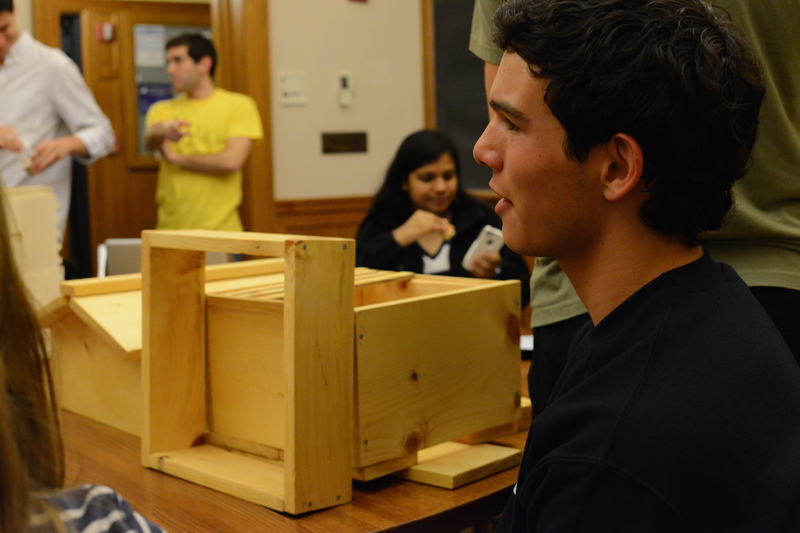 Spring has finally come to New Haven, and members of BeeSpace are busy getting ready to install our new hives. 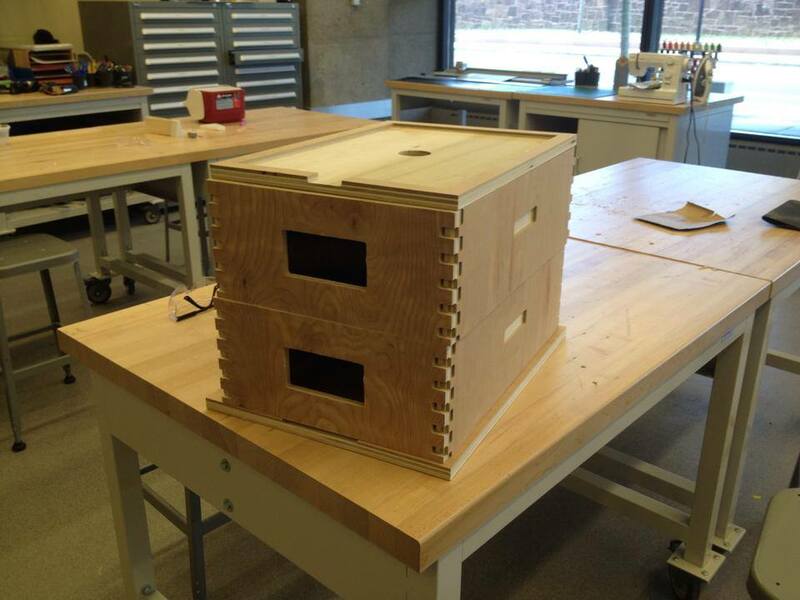 We are currently building two new hive boxes to be ready to house bees by the end of the term. 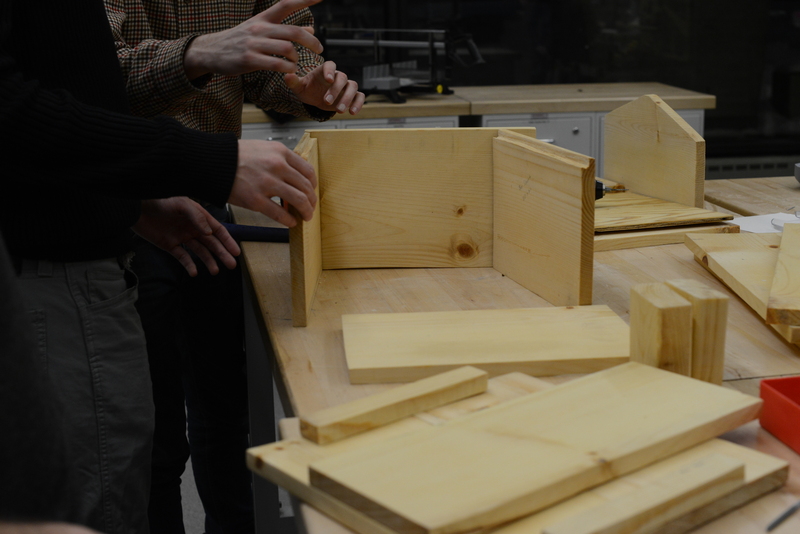 As of this Sunday, the boxes have been nailed together and just need a coat of paint before we can introduce our nucs! 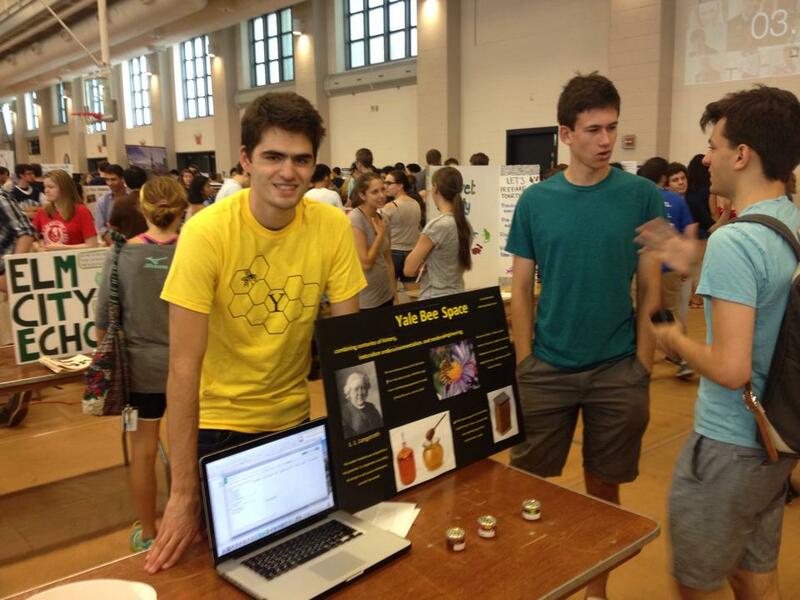 Stay tuned for exciting updates on the new members of the BeeSpace family and their homes! 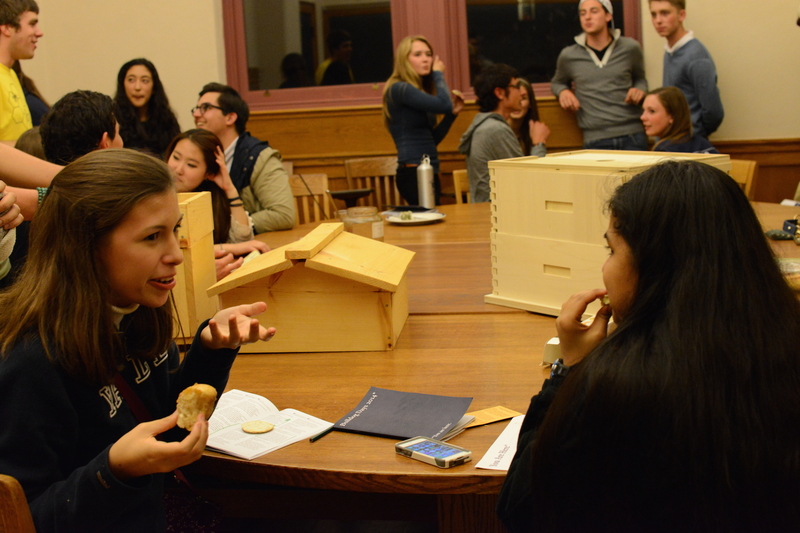 With the end of first semester and the beginning of winter, it’s time for both bees and keepers to take a break. 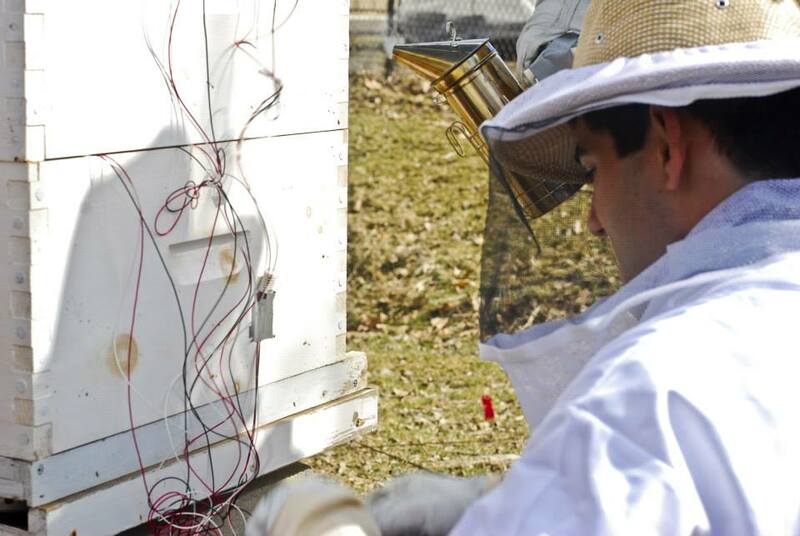 Our hives have been insulated and fed so that they are nice and cozy for the coming snowy months, and Bee Space members are busy planning upcoming events. 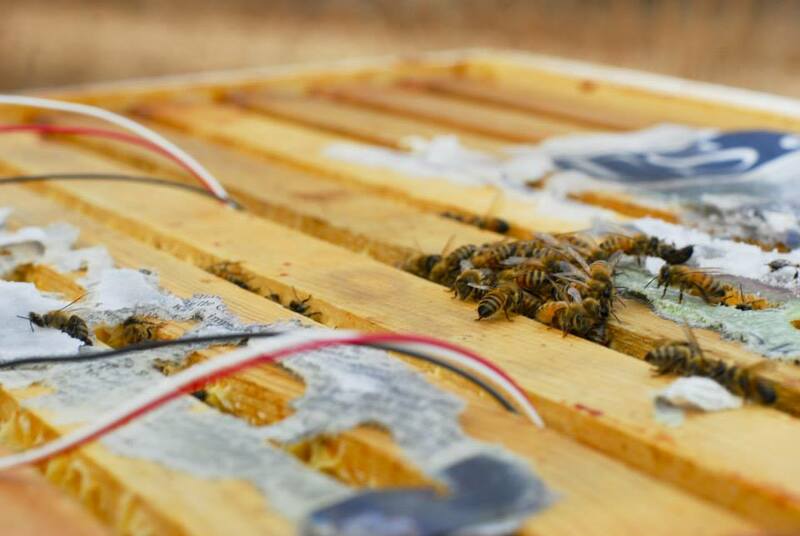 This winter, Bee Space plans on building more hives to house more bees, and spring will be full of hive related activities. Stay tuned! 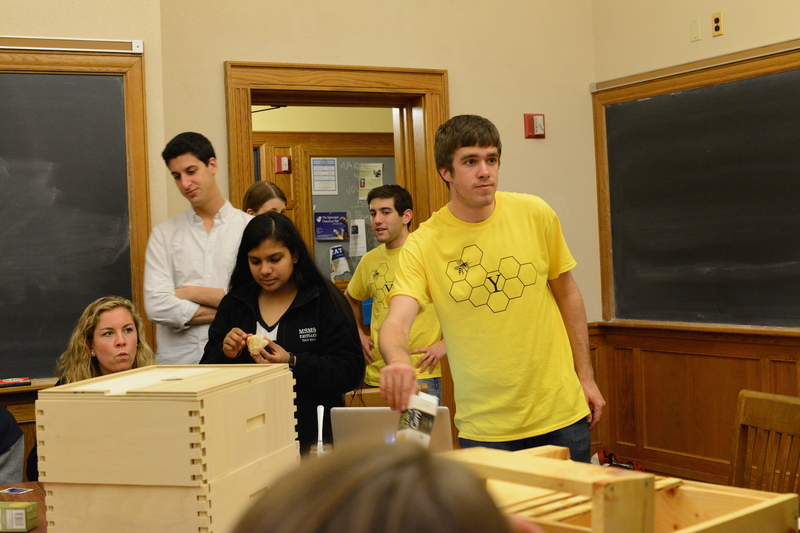 On Friday, members of Yale Bee Space headed out to the wet campus farm to extract our fist batch of honey. 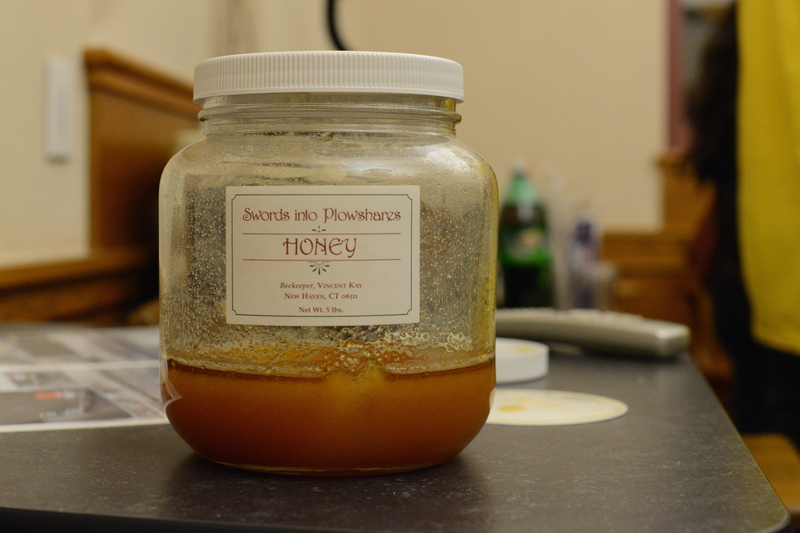 We extracted 84 ounces of honey as well as wax and pollen and look forward for future honey tastings and adventures! 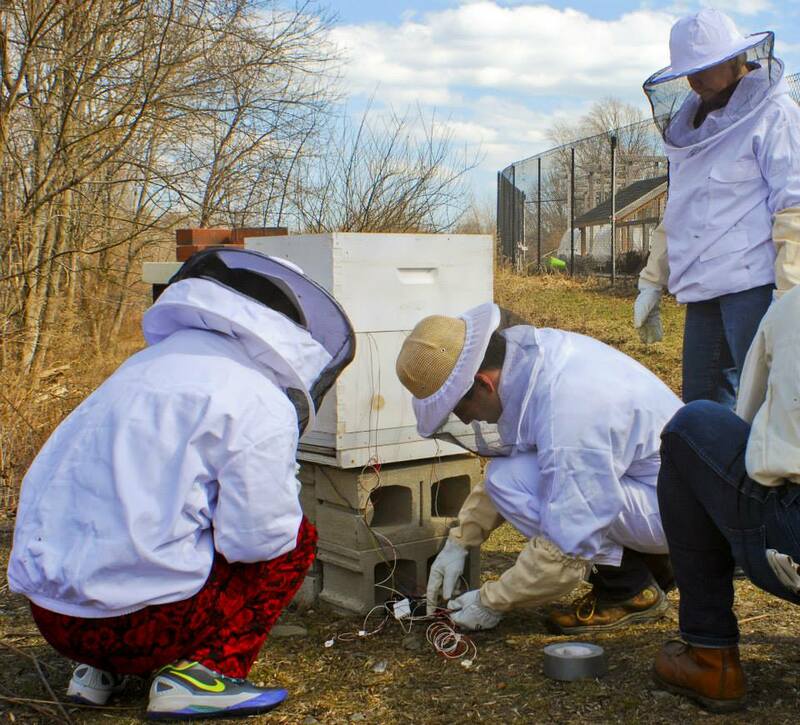 Spring is coming, and it was time to check up on our bees out at Yale West Campus! 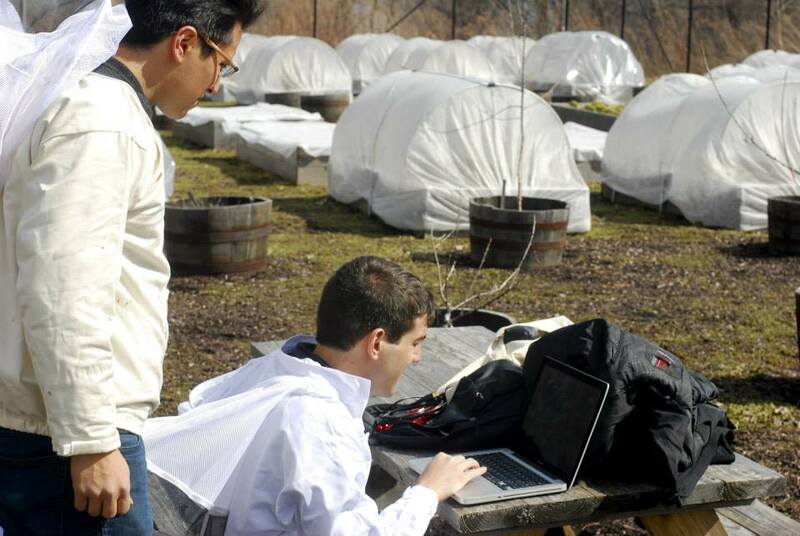 Before Spring Break, Bee Space members went out to the hives to see how our colonies faired the winter. We found many happy (albeit angry that we had opened up there home) bees in both hives as well as lots of honey! 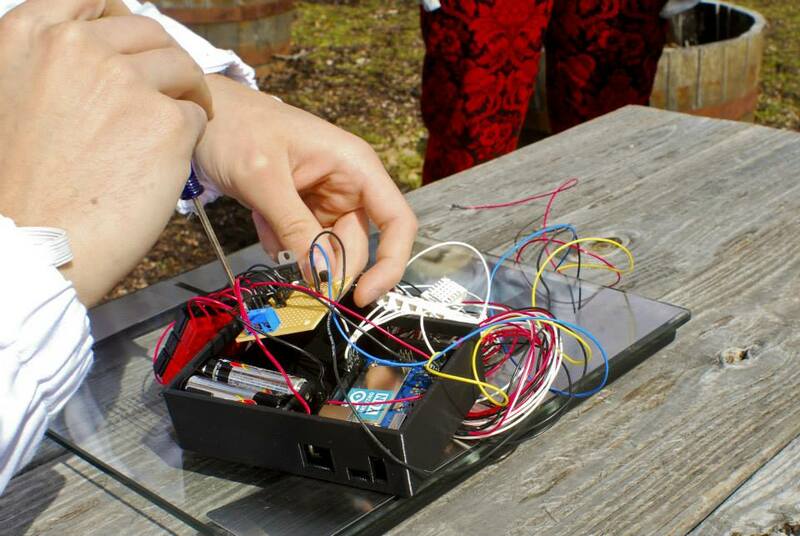 We examined the frames, fed the bees, and can’t wait for warm weather, sensor installation, and honey harvest! Our Warre Hive is officially done and ready for bees!! 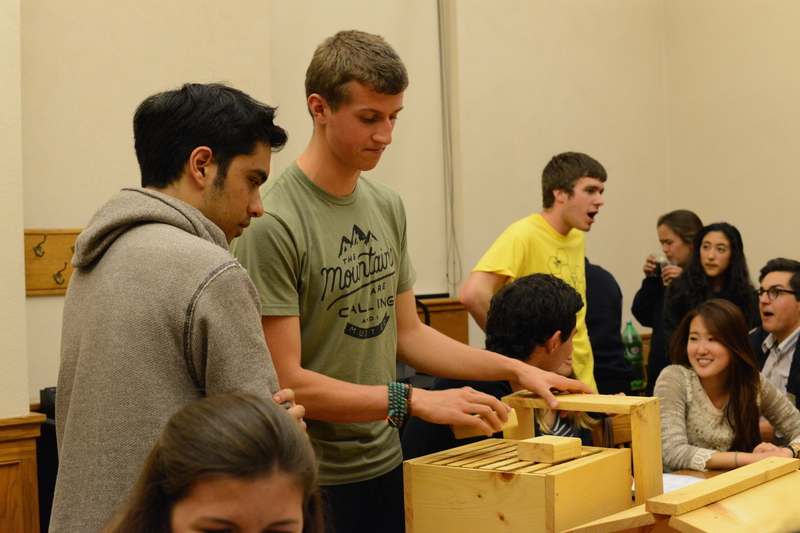 Members of Yale Bee Space gathered together tonight to nail together our hive and make it bee ready. Come Spring, it will house a happy 30,000 residents!